In another article, I’ve explained the key reasons that I recommend older adults and their caregivers have a blood pressure (BP) monitor at home. Many of the problems of older adults (including falls) can be related to blood pressure. follow-up on blood pressure after a change in medication, which can help doctors and families figure out the best medication dosing for an older person much faster. This is safer for seniors. In this post, I’ll share some tips on choosing and using a home BP monitor. And don’t worry: I won’t tell you that you have to plan on checking every day for the rest of your lives. Although there are times when it’s great to check daily — like the week after a change in medication — the most important thing is to have a good BP monitor at home and know how to use it at least occasionally. Get an automatic digital monitor. Although manual cuffs are available, these require more training to use properly. A good quality digital monitor will usually be more accurate and easier to work with over time. Choose a monitor with a cuff that measures at the upper arm. Pick a BP monitor that has good reviews from Consumer Reports or another reputable non-profit organization. Customer ratings at Amazon and other big online stores can also be helpful. Plan to bring the BP monitor to the doctor’s office, so that staff can compare the monitor’s reading to their own clinic monitor. This is a good way to check the cuff’s accuracy. Is the arm cuff properly-sized? It’s absolutely essential to have a cuff that is the right size for the person’s arm. Cuffs are usually available in sizes small, standard, and large. A cuff that is too small will give readings that are falsely high, while a cuff that is too big will give readings that are falsely low. To purchase a cuff, start by measuring the older person’s arm around the bicep area, using a cloth measuring tape. Is it easy to log the readings and share with the doctor? Remember, you’ll get a lot more help from a home BP monitor if it’s easy to log the readings and share the information with doctors or nurses when necessary. Most digital BP monitors will store a certain number of readings in the monitor; some can even store readings for two different people. But readings stored within the monitor can be hard to share with the doctor, so families often still log the blood pressure readings by hand. Some BP monitors can connect to your home computer, so that the readings can be downloaded. Check user reviews to make sure that most people have found this feature easy to use. A few BP monitors can connect via Bluetooth to a smartphone, which is very convenient when it works well. You can Google “bluetooth blood pressure monitor” and pick a one that has good user reviews. In general, there seem to be more monitors available for connecting to iPhone/iPad than to Android phones or computers. Can the older person’s doctor recommend a home BP monitor? Although many doctors aren’t prepared to recommend a specific kind of home BP monitor, some primary care clinics are starting to regularly recommend home BP monitoring. See if your healthcare team can suggest a specific home device that they are used to working with. For a long time, I didn’t recommend a particular home blood pressure monitor to readers or even my own patients. This was mainly because although a number of well-reviewed digital BP monitors were available, most of them did not connect to phones or computers very easily. 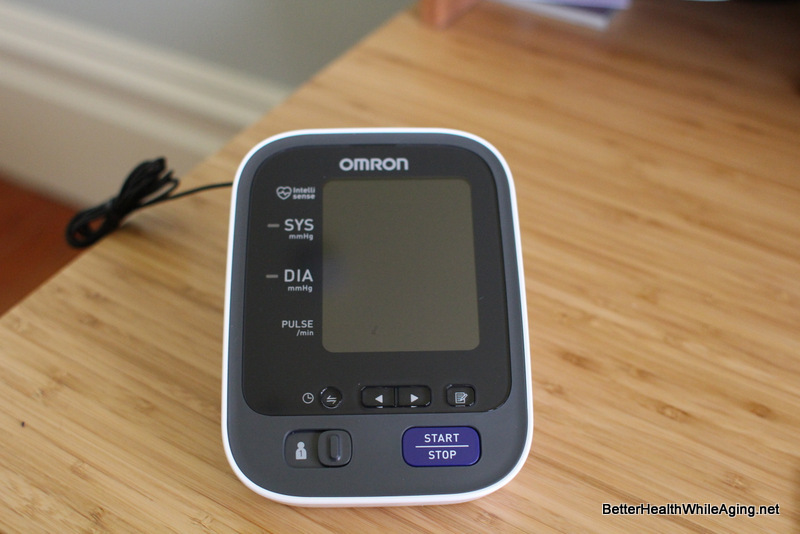 However, I’ve recently been testing an Omron Bluetooth-enabled home BP monitor, and although it has some flaws, I feel it’s good enough to recommend. The particular model I’ve been trying is the Omron 786N, and it’s currently available on Amazon for $65. Omron is a reliable well-known brand of BP monitors, and their professional line is often used by doctors. I checked this digital monitor against my manual BP cuff and got the same reading. BP monitor transfers readings to smartphone app (iOS or Android) via Bluetooth. Once the readings have been transferred to the Omron Wellness app, the readings can be emailed to another person. For those with an iPhone, the Wellness app can reportedly be configured to send results to your phone’s Apple Health app. Last but not least, BP and pulse data can also be viewed online, by logging into OmronWellness.com. “Easy-Wrap ComFit Cuff” is easy to put on and position correctly. This BP monitor comes with a preformed cuff that accommodates arms 9-17 inches in circumference. I found the preformed cuff easy to put on, and the size range means this cuff should accommodate most older adults. (People who are extremely thin or quite obese may need to order a different cuff. Whether a BP medication had recently been changed. Whether the older person was feeling unwell at the time BP was checked, or whether the person was having palpitations or other heart-related symptoms. No easy integration with personal health record systems. Although the Omron Wellness app apparently can transfer data to the iPhone Health app, this particular BP monitor does not easily transmit data to Microsoft Healthvault or other health information systems, as best I can tell. I am disappointed by the fact that one can’t add notes to a reading or export the data in a meaningful way. Still, the Wellness app does allow one to print a table of results or even email it. So even though one can’t import the BP data to another computer, at least this device should make it easier to share readings with one’s family and clinicians. In general, when I advise families on using a home BP monitor, we cover three key topics: proper technique, when in the day to check, and how often every week to check. Proper technique: The most important things to keep in mind are the position of the arm, and relaxing. The upper arm with the BP cuff should be positioned at about the level of the heart (upper chest). A good way to do this is to have the older person sit in a chair, and rest the arm on a table nearby. Don’t have the person hold their arm up and out. The arm with the cuff should be fairly relaxed. This sometimes means another person has to hold the arm up at the level of the upper chest. Check the blood pressure when the person is quiet and relaxed. Talking, exercising, or getting revved up can increase the blood pressure. When in the day to check: The conventional wisdom often suggests checking in the morning, before taking medication. However, because overtreatment of high blood pressure is such a common problem in the elderly, I often suggest that people check BP about an hour after taking any blood pressure medication. If the older person is taking blood pressure medication, consider checking BP about an hour after the medication is taken, especially if there has been any concern about falls, dizziness, or poor balance. Be sure to record what time of day the BP is checked. If you are monitoring BP regularly for a few days or weeks or even indefinitely, try to check at the same time(s) every day. How often to check: You could certainly check every day, or even several times every day. But I find that caregivers and older adults often find checking BP tiresome…they usually have lots of other things to do! So how often to check depends on a) what’s going on with the person’s health, and b) what’s feasible for the elder and caregiver. If the health issues seem stable and there have been no recent medication changes, consider checking BP once a week. This will provide some “baseline” information, so that when a health issue crops up, the doctors will be able to tell if a change in blood pressure seems related to the new or worsened symptoms. If a blood pressure medication has been changed, or if you are worried about an older person’s health, try checking at least once a day for 7 days. Just how should you use a home BP monitor to improve an older person’s health without too much hassle? The best approach is to ask the doctor for some advice, because in the end it really depends on the particular health circumstances of every patient. For more on what doctors should check, see this article: 8 Things to Have the Doctor Check After an Aging Person Falls. A home BP monitor is a very useful tool for older adults, and I always recommend families get one and learn to use it. When choosing a home BP monitor, look for a well-reviewed digital BP machine that measures BP in the upper arm. Be sure to get a properly sized arm cuff, and have the accuracy of the machine checked at the doctor’s office. Do think about how you will log the BP readings and share with the doctor. Consider a BP monitor that can send the readings to your smartphone or computer. At the very least, you may need to write down the BP numbers on a paper log (easier for you to do) or in a spreadsheet (easier for the doctors to assess). 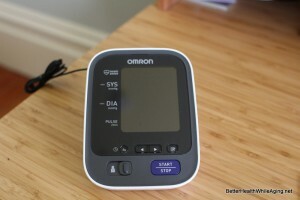 The Omron 786N home blood pressure monitor is a good choice, as it is reliable, easy to use, and provides a Bluetooth connection for easy transfer of readings to the Internet. In this post I offer some suggestions on what time of day to check, and how often. But the best is to talk to the older person’s doctor, to set up a plan that is a good fit for the older person’s medical situation (and still manageable for you!). I am an active 79 yr. old woman who had been on blood pressure meds for a number of years. The blood pressure was not extremely high when I was given the medication. A few months ago I expressed the desire to get off the medication due to the side effect of a cough that had become extremely annoying. My doctor decided to change the medication and this one made me dizzy. He reduced the amount but it still made me dizzy. He then changed to another med (Chlorthalidone) and I had an extreme reaction that caused more dizziness, irregular heartbeat and kidney problems as well as just feeling terribly). I became very persistent and asked him to let me try not taking anything but the Maxide (I have problems retaining fluid). He did so and I have been much better since. My blood pressure stays within the 120s/60s – 130s/60s. I have fewer aches and pains as well. I have a home monitor and will return with daily readings to let him know things are doing well. I feel that doctors rely too much on pills (as do patients) when they should try some other methods unless the blood pressure is very high. 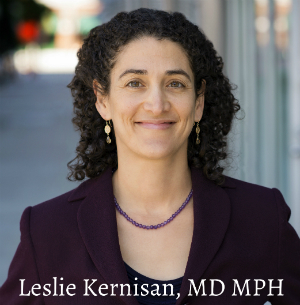 I have become very pro-active when it comes to my medical care and I highly recommend that everyone do the same or have someone to be an advocate for them. It really can mean life or death! Thanks for sharing this terrific story. Glad to hear that you persisted and helped your doctor find a better blood pressure (BP) medication for you. I agree that we should try to avoid or minimize medications, and I find that often people can be on lower doses of BP medication. If you feel good on your current dose of medication, your plan sounds good. You may just want to make sure that your BP doesn’t drop when you stand. The new guidelines on blood pressure treatment in older adults suggest treating to a target of 150/90, so for many of my patients I aim for systolic BP in the 140s. This may or may not be right for you; you’ll have to decide with your doctor. But I mention it since it’s possible that you could reduce your medication even more. Good luck! Seven in ten adults from the first world say they track at least one health indicator like digital pedometer showing 10,000 steps, weight, diet or exercise tracker, health symptoms trackers like blood pressure machine online, blood sugar, headaches, sleep patterns, and many more. I can’t tell you specifically which one is right for you, depends on whether you have any relevant mobility or vision problems and also whether you want to have your BP data in the cloud for easier tracking and sharing with your doctors. If you want to keep BP measurements in the cloud but don’t have a smartphone, the Blipcare monitor can be connected to wifi. I personally found the initial connection to be technically a little tricky; most people your age will need a younger tech-savvy relative to do it. But once it’s connected, it works fairly well. There is a good review here, and you can see Amazon reviews here. We already have Omron and Withings BP monitors, but I’m getting this one just because of the Bluetooth! Our Omron has no connection and the Withings requires a wired connection to iPad or iPhone, and in our case the connector doesn’t fit with my iPhone case. Dumb – Bluetooth FTW! I agree about the importance of recording the notes. Thanks especially here for the info about standing vs sitting. A relative who worked in a cardiac ICU agrees, yet I’ve never heard it mentioned ANYwhere, including in documentation from either manufacturer. The ICU relative noted that it’s useful to check both left and right arms – “That’s how you can detect an aneurysm.” Huh! Thanks for these comments Dave! Yes, it can be cause for concern if there’s a big difference in BP between the two arms. But overall such aneurysms are not common. I tell patients to always check with the same arm, and then we can occasionally check the other arm. Very Good post indeed. So many things are mentioned in this blog about the usage of home blood pressure monitor. I really liked it very much. It is suggested to purchase Amron786N. But it is not available with Amazon in India. Which will be best alternative for accuracy. Sorry but I’m unable to research options available in other countries. Good luck! Agree that the new app is pretty disappointing. Let us know if you find a good monitor with a good app!